Mario jumps in out of nowhere to help, but Yoshi already ate all the wigglers. Damage: OVER 9000!!!!!! 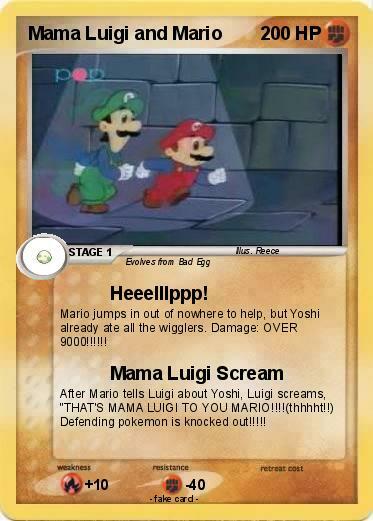 After Mario tells Luigi about Yoshi, Luigi screams, "THAT'S MAMA LUIGI TO YOU MARIO!!!!(thhhht!!) Defending pokemon is knocked out!!!! !